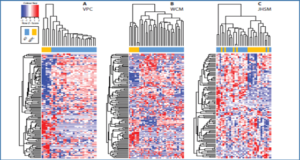 Human NK cells express cell surface class I MHC receptors (killer cell immunoglobulin-like receptor, KIR) in a probabilistic manner. Previous studies have shown that a distal promoter acts in conjunction with a proximal bidirectional promoter to control the selective activation of KIR genes. 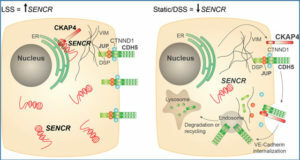 Researchers at SAIC-Frederick report here the presence of an intron 2 promoter in several KIR genes that produce a spliced antisense transcript. 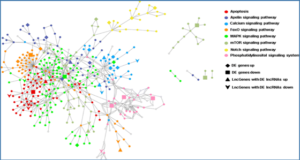 This long noncoding RNA (lncRNA) transcript contains antisense sequence complementary to KIR-coding exons 1 and 2 as well as the proximal promoter region of the KIR genes. 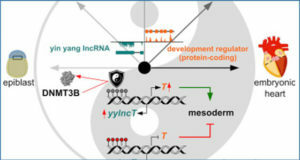 The antisense promoter contains myeloid zinc finger 1 (MZF-1)-binding sites, a transcription factor found in hematopoietic progenitors and myeloid precursors. 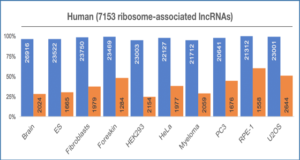 The KIR antisense lncRNA was detected only in progenitor cells or pluripotent cell lines, suggesting a function that is specific for stem cells. 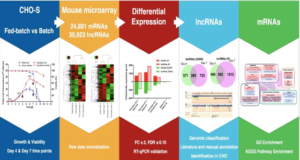 Overexpression of MZF-1 in developing NK cells led to decreased KIR expression, consistent with a role for the KIR antisense lncRNA in silencing KIR gene expression early in development.